LONDON (Reuters) - Uber is seeking a second chance in Barcelona three years after it was forced to shut down in the face of taxi driver protests - by introducing a fully licensed ride-hailing service that meets local transportation laws. Its new UberX service will operate with hundreds of professional, licensed drivers in contrast to the UberPop service it ran until late 2014 using non-professional drivers to pick up and drop off passengers, Uber said on Tuesday. 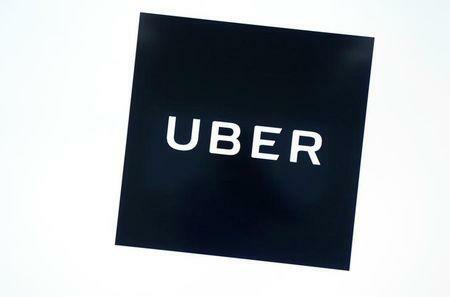 Uber is looking to make a clean break with business practices that resulted in a litany of regulatory battles, driver and consumer scandals and court cases. "We made mistakes along the way," Uber General Manager for Southwest Europe Carles Lloret said in a company blog post. "We are changing the way we do business, putting integrity at the core of every decision we make and working hard to earn the trust of the cities in which we operate. Barcelona is no exception." Two years ago, Uber re-introduced UberX using professional drivers in Madrid. In December 2014, a judge had ordered all Uber services to be shut down in Spain's capital city. Decrying Uber's return as unfair competition to their livelihoods, taxi drivers have mounted a series of 24-hour strikes in Madrid, Barcelona and other Spanish cities over the past year. "We are fully committed to working with the entire sector - including taxis - to improve mobility in Barcelona together," said Lloret. San Francisco-based Uber pre-emptively closed its services in Barcelona in December 2014 as local officials geared up to pass legislation against the UberPop service, which city authorities legally barred the following year. Protests by taxi associations over the past year against Uber have also targeted Madrid-based Cabify, a rival founded in 2012 that operates in Spain, Portugal and Latin America. Uber operates a range of ride-hailing services in more than 600 cities around the world.